We welcome you at the homepage of the Centre for the Analysis of Administrative-Political Processes and Institutions (‘CAAPPI’), that at the Faculty of social sciences at the University of Ljubljana in Slovenia covers research activity in the areas of comparative public administration, leadership studies, political participation, local government and comparative civil service systems. The CAAPPI’s main role is to develop fundamental and applied administrative and/or political science, to develop different applied (sub)disciplines in the field of public administration and international comparative research. Special Local Government Research Unit (LGRU-UL) was established in 2015, that focuses on research of public governance, local political leadership, community cohesion and local citizenship, neighbourhood governance, local democracy and local politics. CAAPPI is one of the co-publishers of the Journal of comparative politics (JCP). We wish that you would find all necessary information about CAAPPI and JCP. 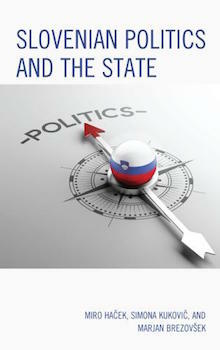 "Miro Haček, Simona Kukovič and Marjan Brezovšek: SLOVENIAN POLITICS AND THE STATE"